With almost a month passing since the close of the river season I was beginning to get a few withdrawal symptoms. With the weather still cool, my target was perch so I headed to my stillwater destination full of confidence. 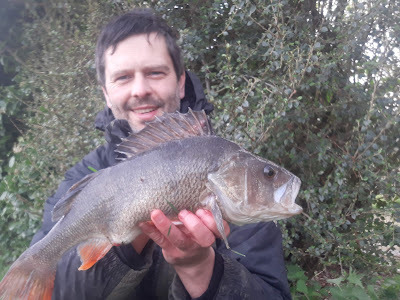 Arriving at around 1pm, my intention was to fish through until around 6.30pm, which would give me plenty of time for the perch to decide on feeding. perch would not be far behind them. Any stripy predators observing from afar could pick up the prawn and then when they decided to go on full hunt mode and enter the fed area then the worm would hopefully provide an easy meal. After an hour I was perchless. A few fish had shown signs that perch might be about. I was convinced they were not far away so I put a prawn on the float set up as well and dropped it right under where the maggots were being fed. Within moments the float buried and I was into a perch. It put up a super fight, probably the best I've had from a perch and the prize was a lovely fish of 2lb 2oz. Within twenty minutes another fell to the same approach weighing in at 2lb 7oz. 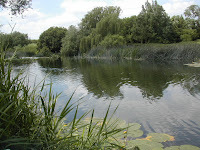 A carp of around 6lb then found its way to the bank marauding through my swim in the process. 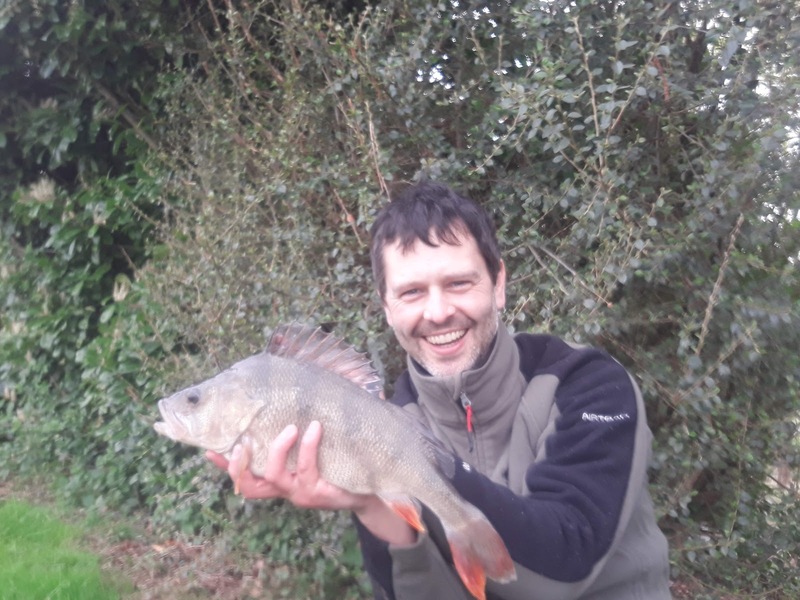 After a pause in the action the ledgered prawn was then picked up and the third perch of the day was landed. Again the fish put up a great scrap with this perch registering 2lb 5oz on the scales. 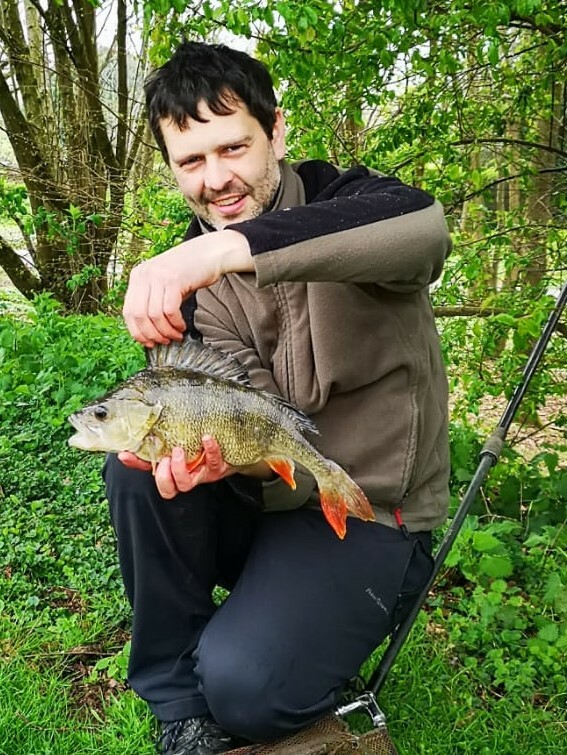 Another carp came along with a perch under a pound and then sport curtailed around 5pm. Just at the time you'd expect fish to feed the opposite happened and I packed up as planned with no further fish. 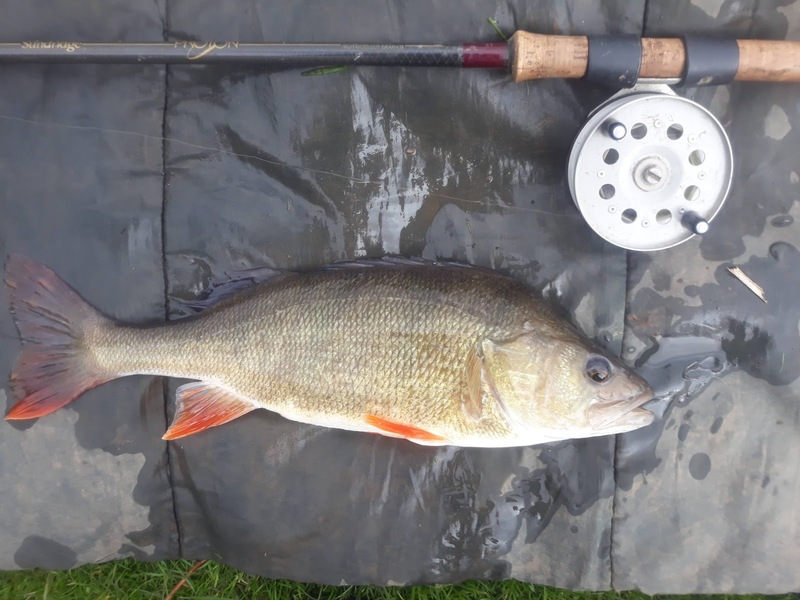 However, that 90 min spell during the afternoon and produced three 2lb+ perch. Prawn had won the battle of the baits and given me a great day's fishing in anyone's book. I was then given an unexpected opportunity to return a few days later. 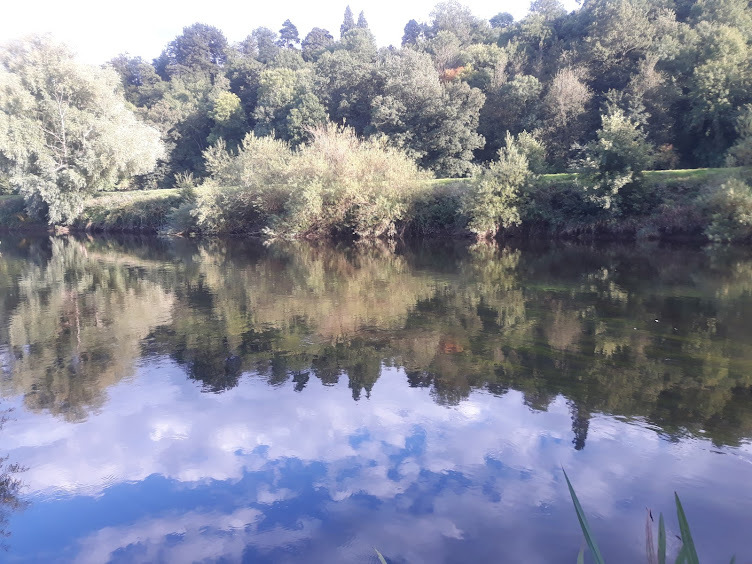 I was keen to experience more of the same and even attempt to beat my PB which the lake is more than capable of doing. The conditions were spot on so I was optimistic and deployed the same set up as the previous session. After 2 hours I had only managed to catch a dozen or so roach and rudd. The prawns and lobworms had been ignored as far as the perch were concerned. I was convinced they hadn't wandered too far from the area so I took the decision to try a livebait. Within ten minutes a familiar fish was on the bank. A repeat capture of the 2lb 2oz perch and its distinctive split dorsal fin fro a few days earlier. Another live was lowered and mullered instantly. I hadn't even put the rod down. This perch went 2lb 6oz. 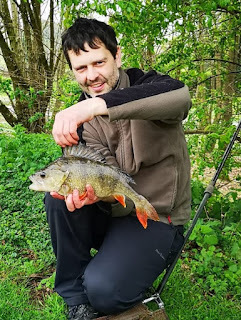 I lost another decent perch later to a hook pull but that was the end of the action and then banked a smaller perch of around a pound. They had certainly been more difficult to catch on this day. Neither prawn or worm had returned me a perch and a blank would have been the inevitable result but for the change to live baits.